Our company provides Mice extermination in Montreal services. 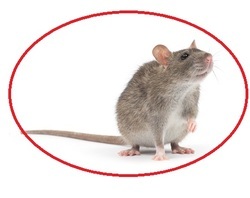 Pest Control and Extermination Montreal Max services is your Mice and Rat rodent solution! With the disease that the rodents carry it is best they are take care of right away. Rodents may be smart but we are smarter and have an array of ways to deal with them and make your home, business, or rentals safe again. Let us help you take back your home, business, and/or rental today! We are here to truly take care of your rat and mice extermination problems within and around your home, business, and rentals. We have traps that can be used to kill or relocate a mouse or rat. We also have poisons that will exterminate mice or rats. The great thing is that we have an array of poisons that can affect the problem with the results you are looking for. Whichever way you would like us to handle your problem we can. When you call us we can come and do an overview of your problem and then give you our suggestion among all the ways we can handle your problem. It is up to you on how it is handled. Your search is over and Exterminateur Montreal MAX is here to meet all of your pest control needs! When you have a mouse or rat problem we are the company that will do what it takes.